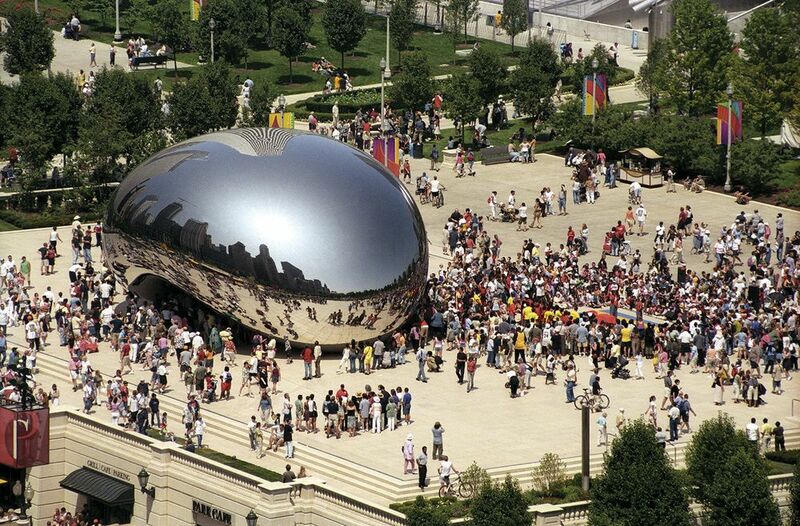 22m long & 11 m wide stainless steel sculpture for Millennium Park in Chicago. The sculpture was constructed as tiles, built onto an internal armature and visibly welded together internally and externally. After extensive polishing all the joints were removed to leave a flawless mirrored surface.